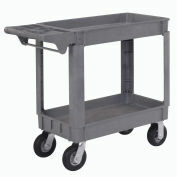 Economic Polymer Utility Carts are great for using practically anywhere, including shops, restaurants, schools, and offices. 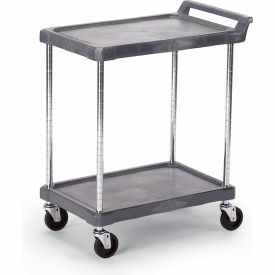 This multi-purpose, economical two shelf utility cart comes complete with smooth, easy-to-clean polyurethane shelves that attach to chrome-plated posts and feature a molded-in lip to contain messy spills. 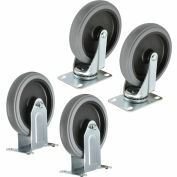 Resting on four 4" resilient rubber swivel casters, this is a cart with shelves that is economical and also easy to maneuver. 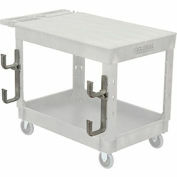 The shelves have a 150-lb. 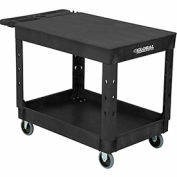 capacity and a 23" clearance. 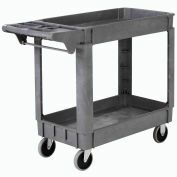 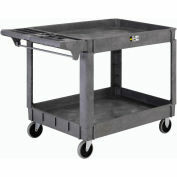 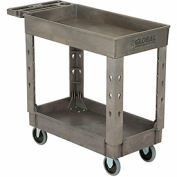 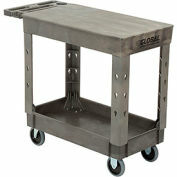 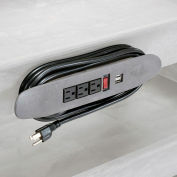 This economical utility cart with shelf stands 33-1/4" high and is available in gray. 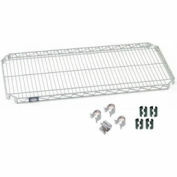 This product is NSF certified and it ships unassembled. 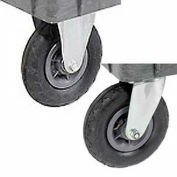 Your review: These are very versatile. 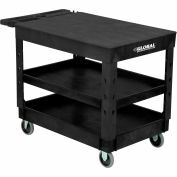 I run a conference center and we keep them available for customer use. They are really appreciated by our customers. 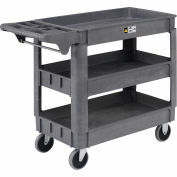 Cons: They keep disappearing: our staff like them so much they borrow them and "forget" to return them.